As we mentioned, last week was a busy one at Project SNOWstorm. 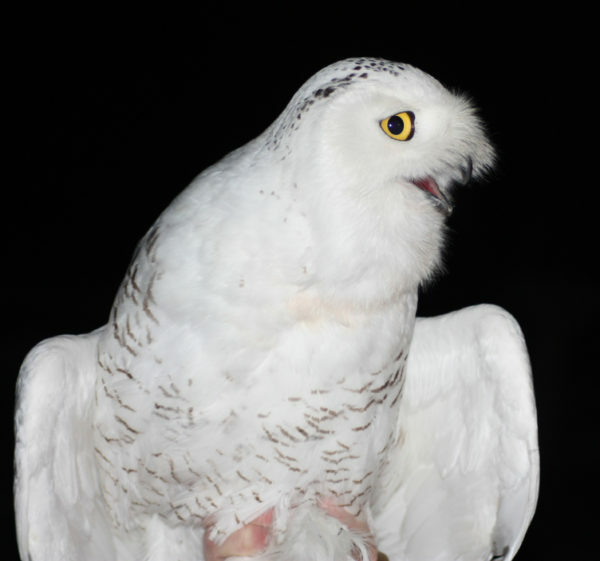 As we were adding two newly tagged owls on Amherst Island in Ontario, we also had two new birds sporting transmitters in Wisconsin, where we’re partnering with a number of organizations to track owls this winter. —Bancroft, a juvenile male caught Jan. 16 on the Buena Vista Wildlife Area, a nearly 13,000-acre (5,260 hectare) network of mostly grassland east of Wisconsin Rapids in Portage County. He was trapped and tagged by longtime SNOWstorm collaborator Gene Jacobs from the University of Wisconsin-Stevens Point, and the cost of his transmitter was generously underwritten by the Wisconsin Society for Ornithology. —Austin, another juvenile male trapped at the Green Bay Austin Straubel International Airport by Frank Ujazdowski, one of a group of half a dozen falconers who volunteered to trap and move snowy owls away from several airports in the Fox River valley this winter, with support from the airports and Winnebago Audubon. 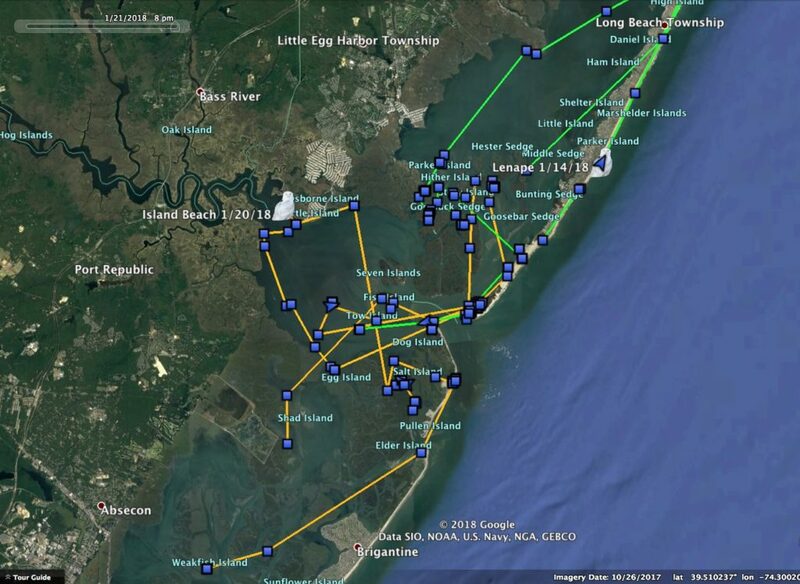 The bird was tagged by Gene Jacobs and then relocated to Buena Vista on Jan. 18. Austin’s transmitter was the second this winter to be underwritten by the Natural Resources Foundation of Wisconsin. If you’ve been following Project SNOWstorm since the beginning, Buena Vista is a familiar name. 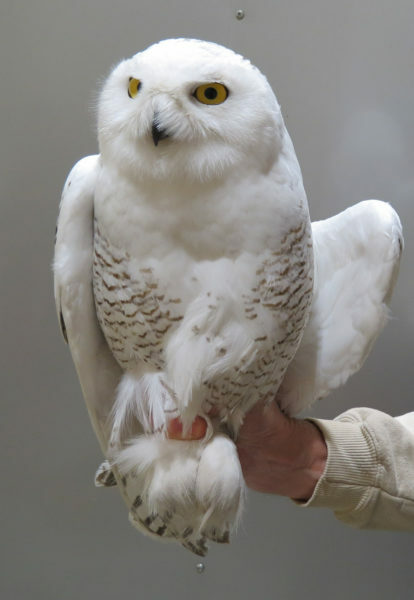 Our second tagged owl, in December 2013, was caught there and named for the state-owned grasslands — which besides being great habitat for snowy owls, and having been designated an Important Bird Area by National Audubon and BirdLife International, has a storied place in ornithological circles. Legendary ornithologists Fran and Fred Hamerstrom conducted ground-breaking studies at Buena Vista into greater prairie-chickens and northern harriers, among other birds, and Fran wrote a number of popular books, including Birding with a Purpose, about her research. Of course, there’s plenty going on with the rest of the 2017-18 class of owls. Here’s an update. Also in Wisconsin, Arlington and Badger continue to be homebodies. Badger generally uses an area of less than a square mile (2 square km) just northeast of Freedom, WI, while Arlington wanders a bit more but keeps returning to a core area near the University of Wisconsin Experimental Farm near his namesake town. We mentioned a few days ago that Chickatawbut had uploaded her spring and early summer, strongly suggesting she had nested. Well, a few days later her transmitter sent the rest of the backlog, and yep, there is every indication that she found a mate and raised a brood in the western Ungava last summer. She remained very close to the nest site until mid-September, then wandered a bit to the northwest before the fast-diminishing sunlight in the subarctic sent her transmitter into hibernation in early October. It chirped to life Oct. 28 to record one location, still well up in the Ungava, and then again when she reached the St. Lawrence River valley at the end of November. She’s currently near the town of Louiseville, Quebec, about 100 km (62 miles) northeast of Montreal, still along the St. Lawrence. Hilton has been back in touch this past week, staying a few kilometers offshore on the ice of Lake Erie south of Port Maitland, Ontario. No word from Sterling, who is either remaining out of cell range on lake ice, or having some recharging issues. All the transmitters have been struggling the past few weeks as solar angle and day length are very poor at this point in the winter. 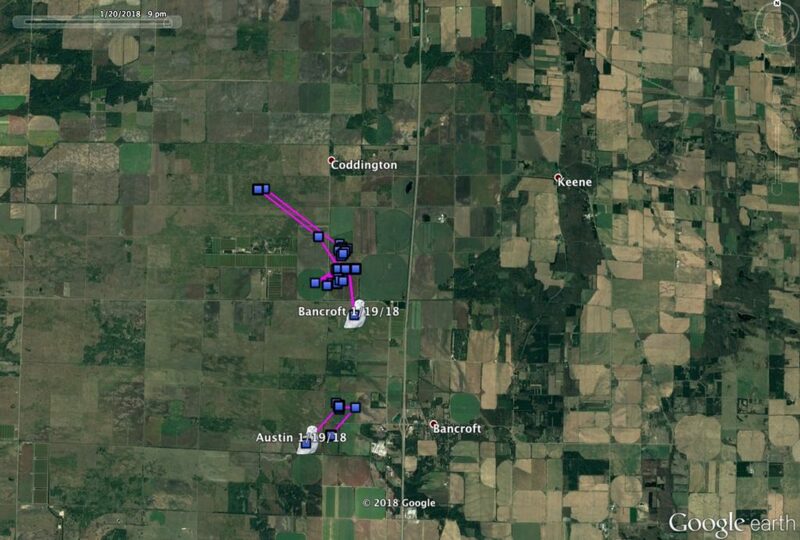 Hardscrabble remains in a roughly 11 square km (5 square mile) area near Kinburn, ON, and we get small batches of his backlogged data every transmission as his battery recharges. Once it reaches a solid charge, we may try flushing all the old data out, much as we did last year with him. 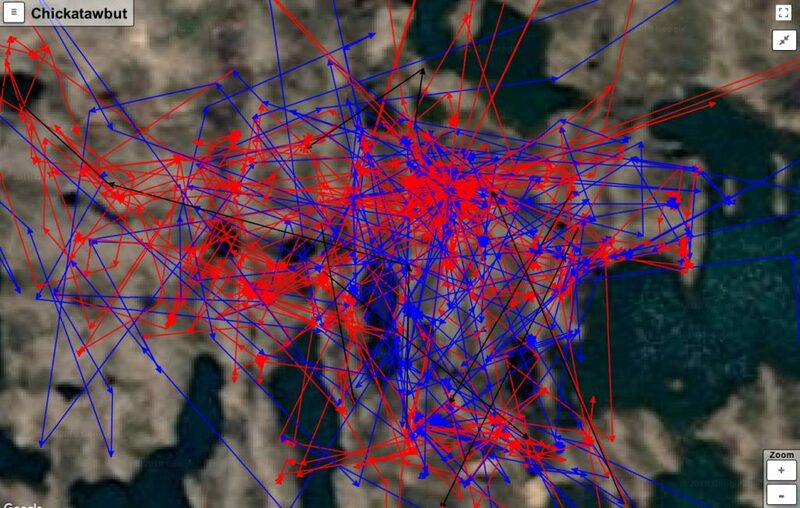 In the meantime, his unit is logging all of his current GPS data as well, so we’re not losing anything. Down on the New Jersey coast, Island Beach checked in Sunday night and remains between Brigantine and Holgate. Lenape last checked in last Jan. 15, so no fresh news there. After making a little jaunt toward Valley City, ND, on Jan. 12, Ashtabula has moved back to his winter territory north of Sanborn Lake. Whatever issues we had previously with cell coverage in that area seem to be resolved, at least for the moment. It may be simply that the roost area he was using for the first month was in a little dead spot for coverage, but he’s shifted a bit. 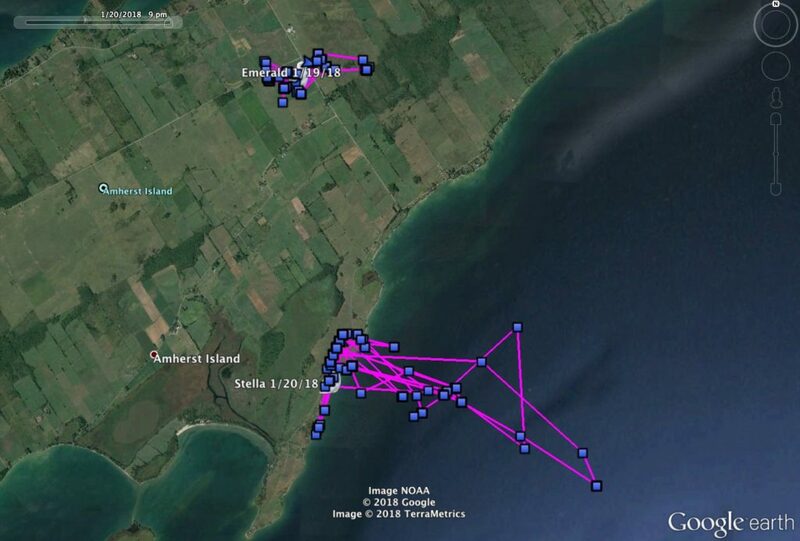 And on Amherst Island, Stella and Emerald seem to be living rather different lives since they were tagged. Emerald has been staying in a 37-hectare (92-acre) area of farmland, while Stella wanders widely offshore on the ice of Lake Ontario, 4 km (2.5 miles) from land. Two owls, two different approaches to using the same landscape.